The 15th International Peat Congress (IPC) will be held in Kuching, Sarawak, Malaysia from August 15th to 19th, 2016. The convention, held every four years, will be hosted by the Malaysian Peat Society (MPS) in partnership with the International Peat Society (IPS). The advised deadline for abstracts is the 31st October 2015, but it is suggested that delegates submit in advance of this date if possible. As well as offering the opportunity to talk to tropical peatland experts from all over the world, there will also be a range of different one day excursions, which will provide delegates with the chance to see the spectacular natural environments of Malaysia first hand. See the International Peat Congress web page for further details. 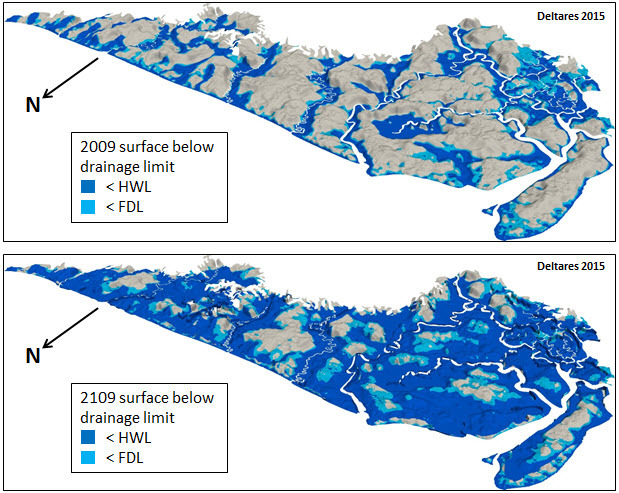 A recent report by Deltares, commissioned by Wetlands International, describes how the drained peatlands of the Rajang Delta in Sarawak will subside over the coming decades and the implications that will have for the flooding of agricultural land, and indeed the remaining peat swamp forest. You can read the summary here and watch an informative animation. More info is also available on the Wetlands International website.